Have you ever had that feeling of back pain after working on a sit position for hours ? 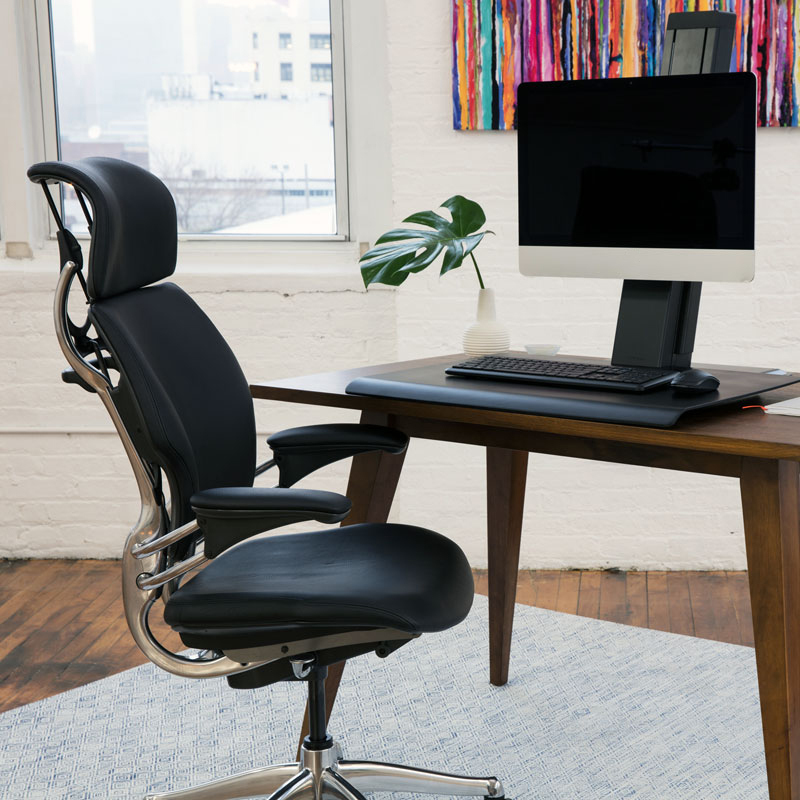 I've been sent this solution from Humanscale called QuickStand Eco that allows you to quickly switch your workspace between sit and stand position. It's a very practical solution for people who want to increase their comfort during working hours. Regarding the look of the stand it comes in 2 colors, black and white. I've been sent the QuickStand Eco in black for a trial but there is as well other models available here. I really like the sober and contemporary touch it brings to the office, just keep in mind that you need a big office table to install it because it's quite big and heavy. But once it's set up, it's very stable and you don't need to worry about it. After having used it for a couple of weeks, I got used to this new system. When collaborating in team, using the stand position can make the team work process more flexible and smart. Concerning the maintenance, the black version I've been sent got dirty very fast, mainly due to fingerprints and dust. If you don't want those kind of concerns, I suggest taking the white version that seems less messy. The overall experience is great, the product feels very solid and sustainable. Materials used are good and you increase the comfort and wellness at your office or home. In my opinion, it is as well a great addition if you simply want to improve the design of your office.